Garden windows are a unique and beautiful addition for your home in Chicago. They extend beyond the normal window opening and protrude from the exterior wall of your home. If you’re looking for something that’ll really open up the room and provide more depth, then a Feldco garden window is the perfect choice. Along with a great view of your yard or garden, garden windows come with two mini-casement windows on each side. Just like our standard casement windows, they open and close with a crank that sits flush to the frame. Our garden windows will provide your home with additional space. Constructed with an insulated seat board, your garden window has a perfect spot to place plants or any other decor that’ll fit. 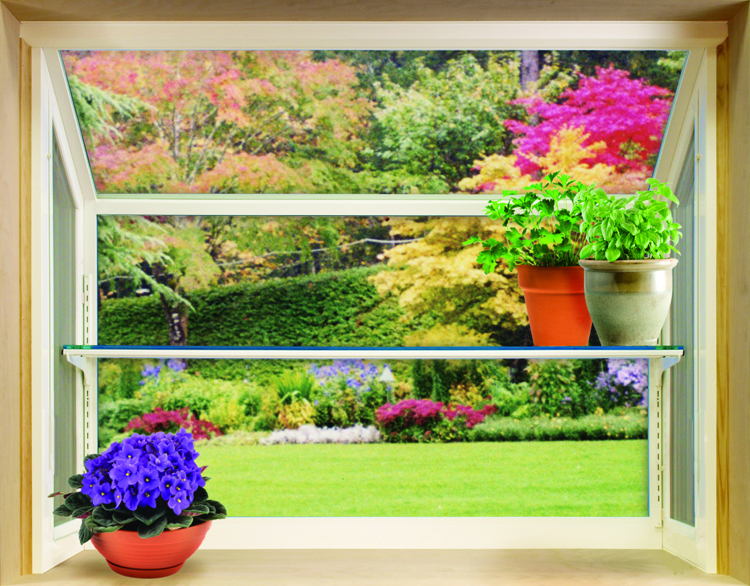 Your garden window will provide a healthy amount of natural light and fresh air wherever it’s installed. With windows on every side, except the bottom, sunlight can pour in from any direction. 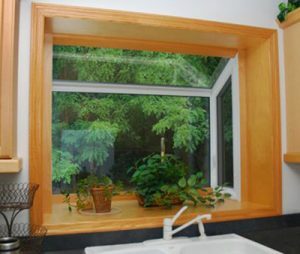 The operable mini-casement windows allow steady airflow into your home when opened. With many different aspects to the overall structure of our garden windows, it’s important to make sure that they’re constructed to still be energy efficient. You can rest assured that your Feldco garden windows will perform well. The entire frame is foam-filled and fiberglass reinforced to maximize insulation and strength. Each pane of glass is filled with argon gas to increase thermal efficiency. These features, along with many others, combine to help you save money on energy bills. Your Chicago garden windows from Feldco will offer your home a unique look with tons of great features. One thing that they won’t do is require a lot of upkeep. Made from vinyl, they’ll never rot, warp or expand. Also, whichever color you choose will be baked into the frame during manufacturing, so that you’ll never have to worry about repainting. Your garden windows will always look as beautiful as they did when they were first installed. Garden windows are most commonly found in kitchens above the sink area, as that’s an ideal spot for natural light and ventilation. However, garden windows can be found in bedrooms, bathrooms and even living rooms depending on the design you’re looking for in your Chicago home.